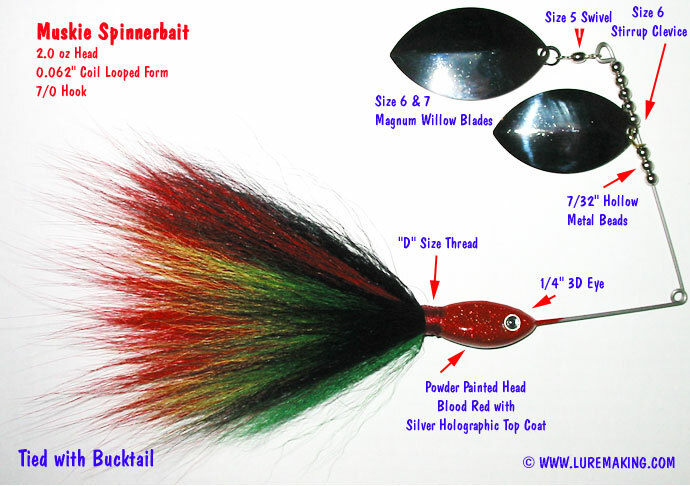 MUSKIE SPINNERBAIT MOLD The Muskie Spinnerbait has a long and narrow head resembling a bait fish with a swollen belly. Each head features large recessed eye sockets to accept 1/4" 3-D soft molded stick-on eyes or prism tape stick-on lure eyes. 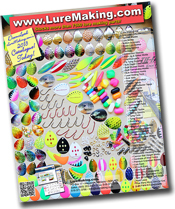 Use our exclusive 0.062" extra large wire form with a ready made coil loop to minimize wire fatigue on the upper arm when trolling at high speeds. *Designed for ladle pouring � not intended for use with bottom pour lead furnaces.